People have strong "opinions" about beer. That's a good thing. Discussion is good. Discussion is how people learn. Your favorite canned beer isn't the next man's favorite canned beer, but the beers on this list are obviously the best because I said so. OK, it's true that personal taste is highly subjective, but I've logged enough years in the game to know what I'm talking about when it comes to the beers you want in your koozie. You think you're too good for beer in a can? That's cool. Good luck with those herpes you contracted from that dirty pint glass. Are you down with looking seriously American while pounding brews out of aluminum? Perfect. Pull up a lawn chair and prepare to drink. 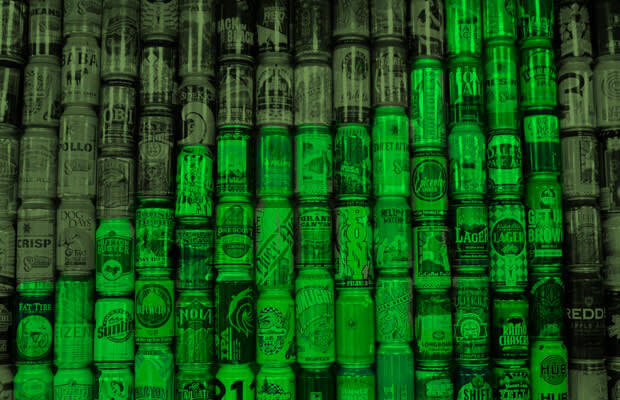 Here is your definitive ranking of canned beers from best to worst. RELATED: Beer Made with Smoked Goat Brains, Anyone?